Established in l882, Brandon soon became one of the foremost agricultural exhibition centres in Western Canada. In 1913 the city was the site of the Dominion Fair. Display Building Number II was constructed in that year to promote agricultural and manufacturing innovations from across Canada. The structure is a rare surviving example of agricultural buildings constructed in Manitoba. It was designed by Walter H. Shillinglaw and David Marshall, two prominent Brandon architects. 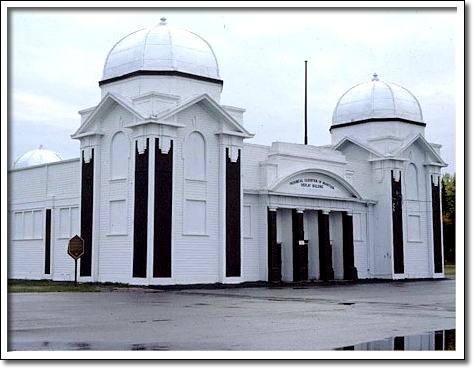 This building has been used continuously for exhibition purposes for The Provincial Exhibition of Manitoba. It remains a centre for promoting agricultural development in the southwestern area of Manitoba. In scale and composition the building is typical of the Beaux-Arts Classicism style of architecture popular for monumental buildings around the turn of the century.